Here's where to see D.C.'s best tree lighting ceremonies and light displays this holiday season! 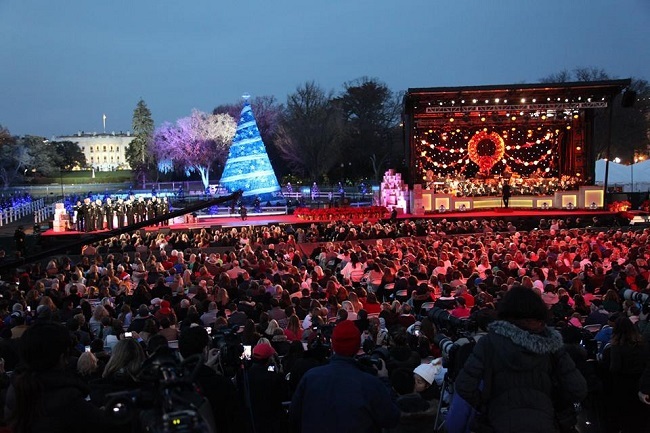 With the holidays rolling around, we've compiled a list of everyone's favorite lighting ceremonies and events in Washington, D.C. The air might be chilly, but you'll have a lit time, that's for sure! During ZooLights at the National Zoo, there will be over 500,000 LED lights -- yes, you're reading that right. This year, make sure you check out their new attraction, the Symphony of Lights -- where an interactive light canopy responds to music! 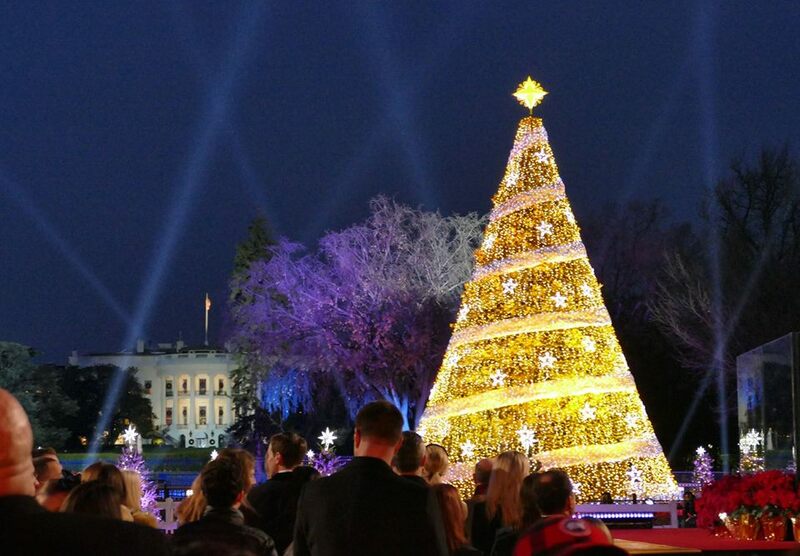 This list wouldn't be complete without the National Christmas Tree Lighting Ceremony! This D.C. tradition has been going on for nearly 100 years, attracting thousands of people each year. If you're one of the lucky-enough residents to get to go, be sure to check out the 56 other trees that represent each U.S. state, territory, and D.C., as well as one-of-a-kind ornaments made and sent in by 56 schools across the country! 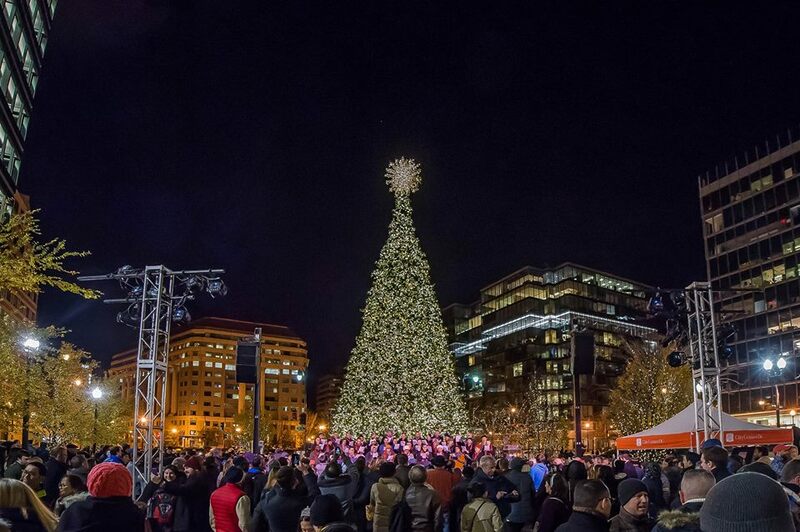 WHEN: Saturday, November 24 | 6 p.m.
CityCenterDC is hosting their 5th Annual Holiday Tree Lighting, and this is a tree lighting ceremony with some flair! Not only will you be dazzled by the lighting of a 75-foot holiday tree and a 25-foot reindeer (Rudolph has nothing on this one! ), but you'll also enjoy the Palmer Alley overhead holiday display, balloon artists, face painters, and more! 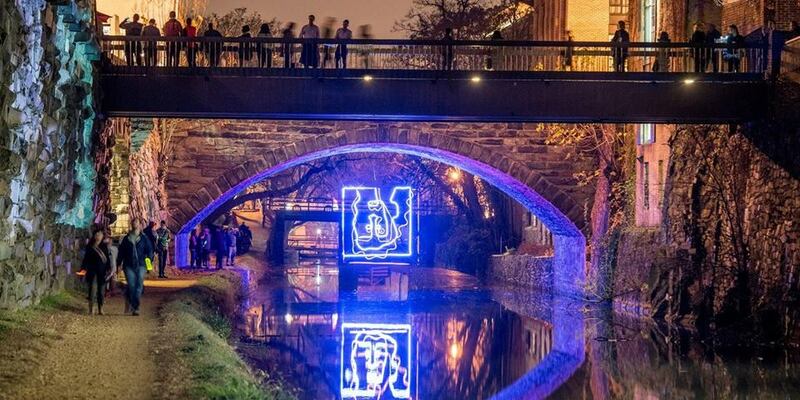 Georgetown GLOW DC takes art to a whole new level with the only public, outdoor, light art display! For the entire month of December and some of January, stroll around Georgetown and admire all the beautiful lit-up art. Pro-Tip: This is great fodder for your Instagram! Which D.C. light event is your favorite? Did we miss one? Tell us in the comments! 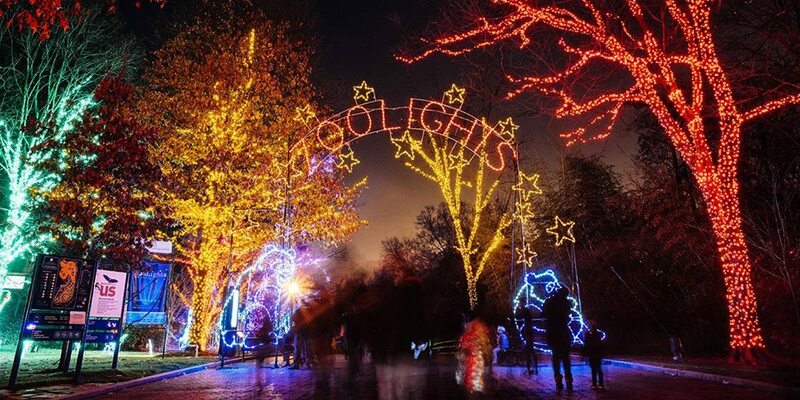 For one night only, the National Zoo's ZooLights becomes BrewLights. Learn more here!